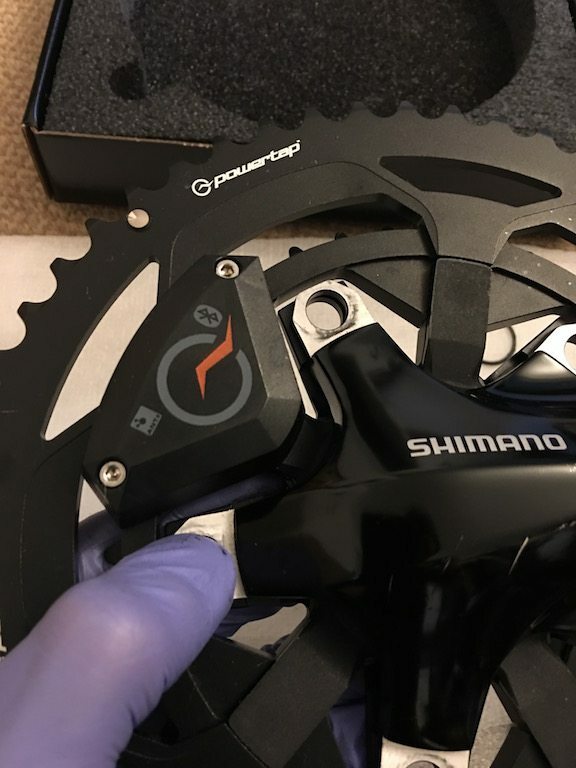 PowerTap C1 Power Meter Review | Zwift Gear Tests! PowerTap is one of the original names in the power meter fields. 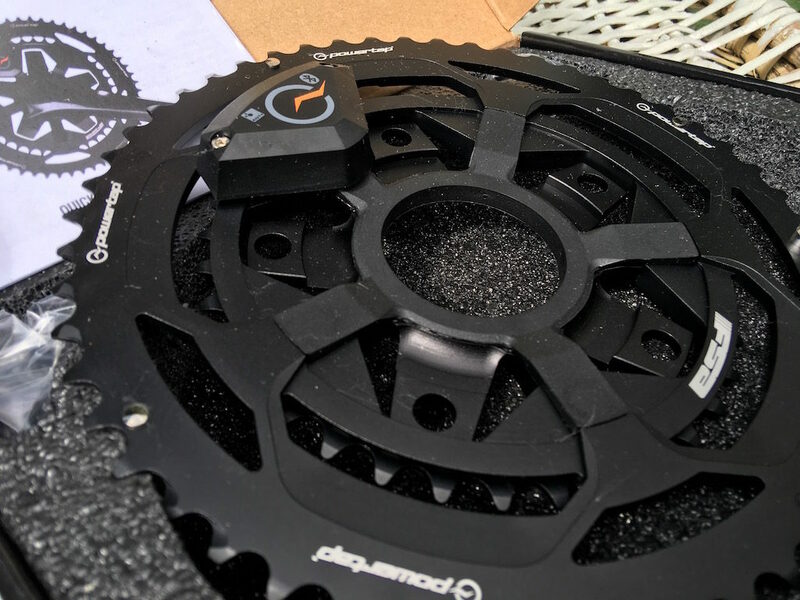 With the explosion of power meters from various companies in the last few years, the PowerTap C1 power meter mounted on the chainring and pitched at a very attractive price point is a very clear challenge to the new bloods. 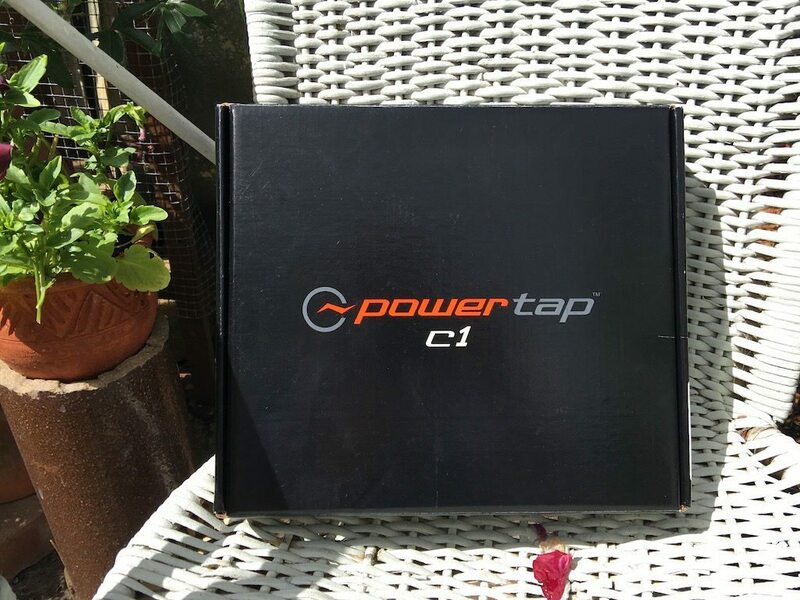 Is the C1 worthy of the PowerTap name? 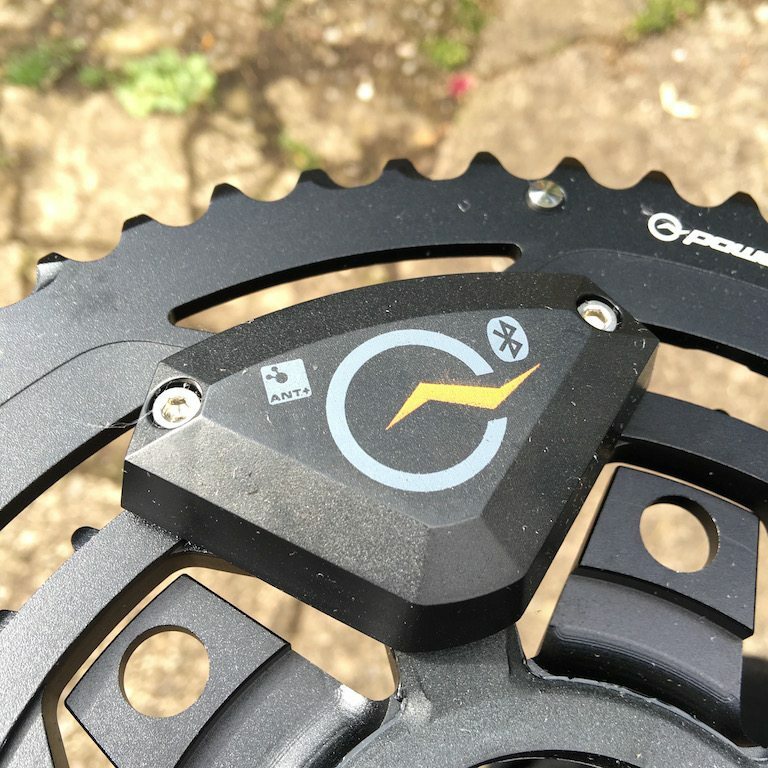 PowerTap C1 Power Meter Review – Chainring mounted watts! The PowerTap name is well known. 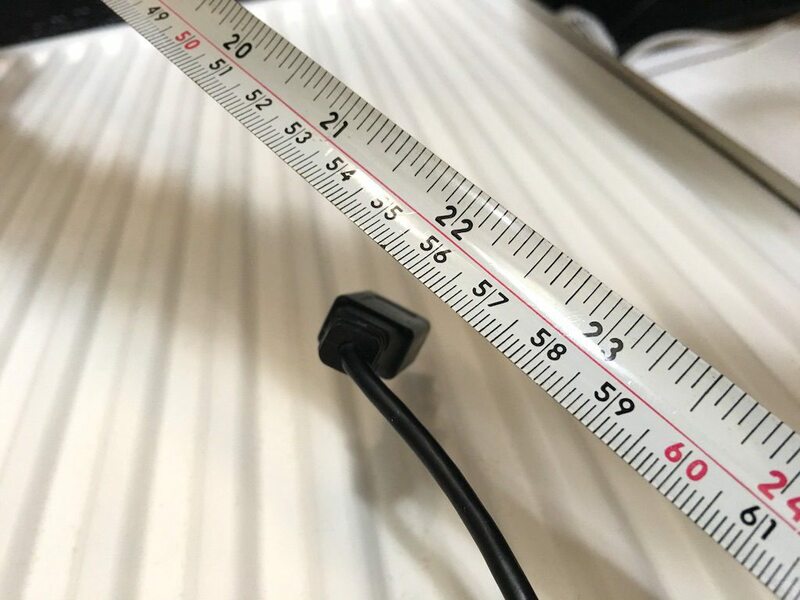 As the number of power meters has grown, manufacturers have tried to identify different parts of the bike where power meters can reasonably be attached. 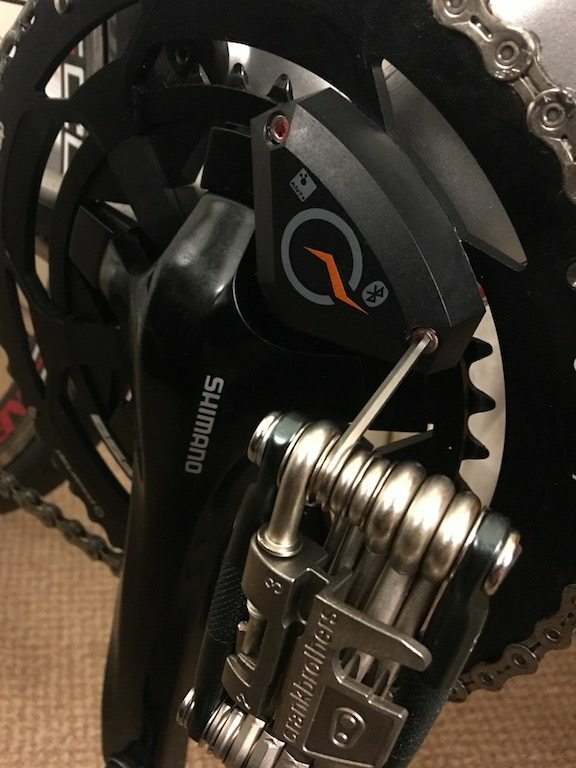 We now have power meters from pedals, all the way through to the hub on the rear wheel, but most options are focused towards the front end of the bike, placing power meters on the crank arms, and the spiders. 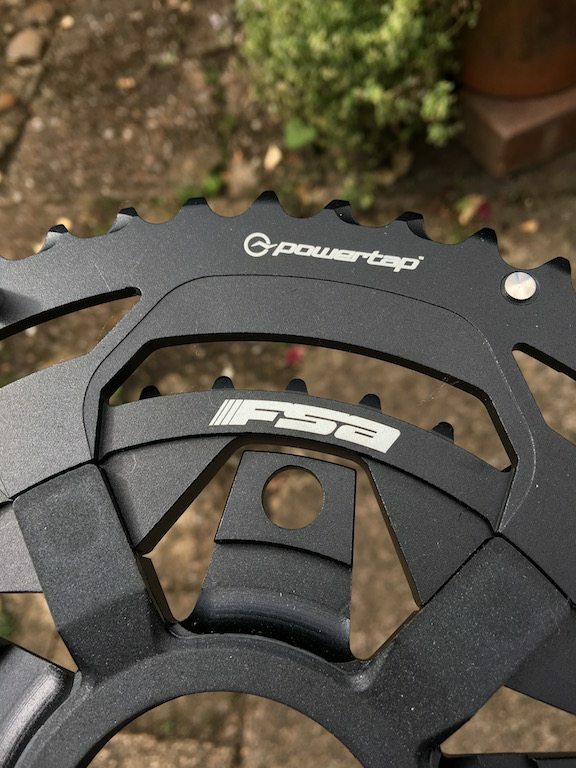 When you order the PowerTap C1 you have a choice of teeth numbers on the rings, and on that initial selection you can also see the cost to replace chainrings giving you an idea as to what you are buying into – small thing, but I do value how open PowerTap are about the costs of replacement parts, as that can factor significantly in a person’s purchase. 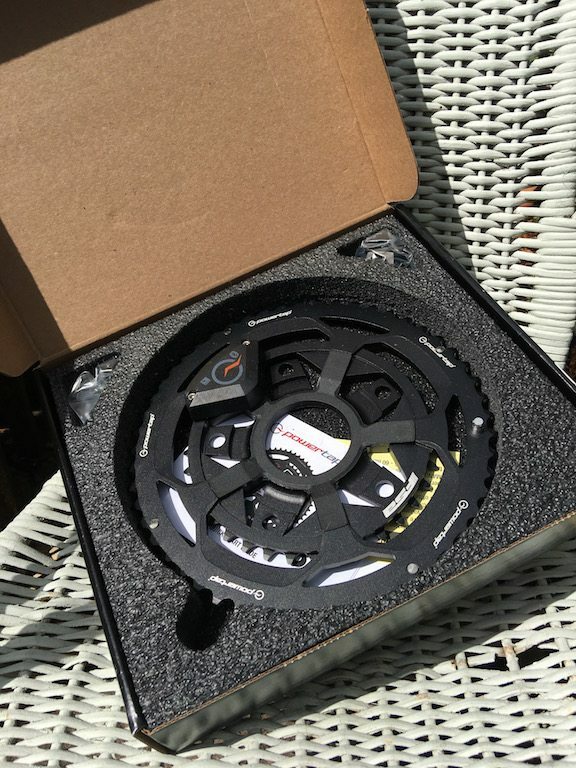 Inside the box, we’ve obviously got the PowerTap C1 itself. 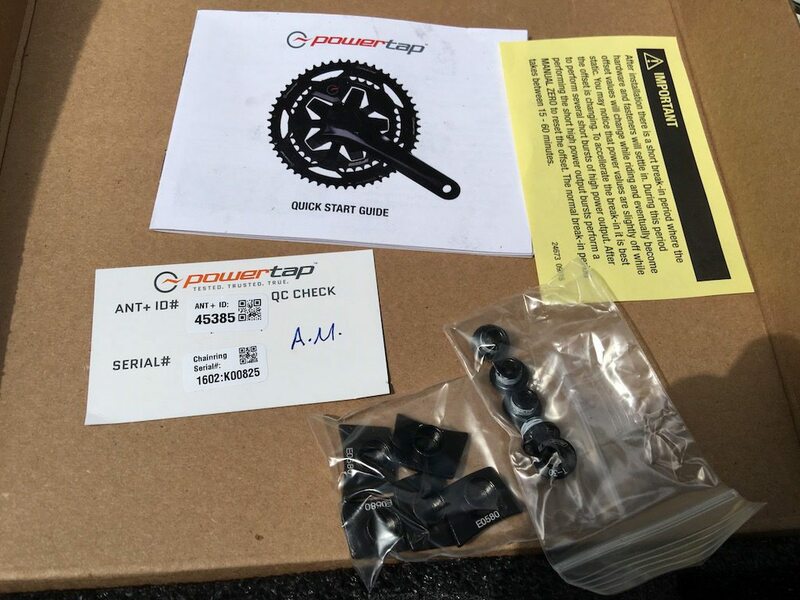 In addition to the power meter, there is the warranty card, manuals, and the five bolts and nuts you’ll need to use to attach the PowerTap chainrings to your spider. 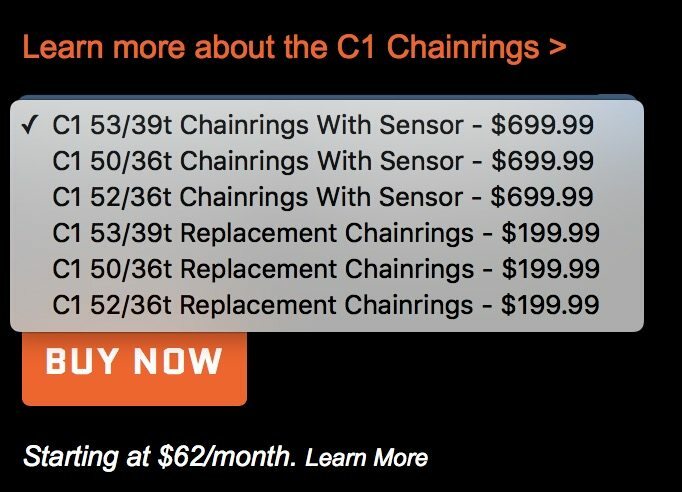 It is at this point the first question mark about the C1 gets raised – why only a 5-bolt pattern? Even in 2016, there has still been no update or release of a 4-bolt pattern PowerTap C1. Just to put that into context, the 4-bolt pattern Shimano Ultegra 6800 was unveiled in 2013, and the Shimano DuraAce 9000 in 2012! 4-bolt patterns are not exactly brand new concepts today so what is going on? Then slotting everything together – whereupon everything, unsurprisingly, lines up very nicely. I’m not astonishingly mechanically minded, but never the less I found the whole installation took me about 10 minutes, the only major irritation was realigning the Ultregra front mech! 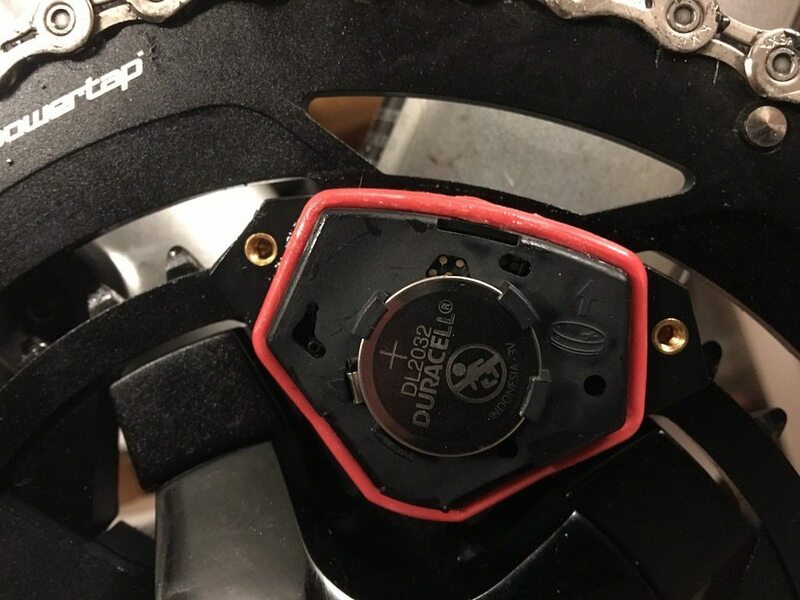 Earlier I mentioned the oddity of PowerTap building a new power meter which, at least with regard to Shimano’s catalog, is targeting a previous generation of group sets. Heck, even Shimano’s 105 went to a 4 bolt pattern in early 2015! So this choice looks either rather myopic on the part of PowerTap or gives an indication as to which end of the market the PowerTapC1 is aiming at. 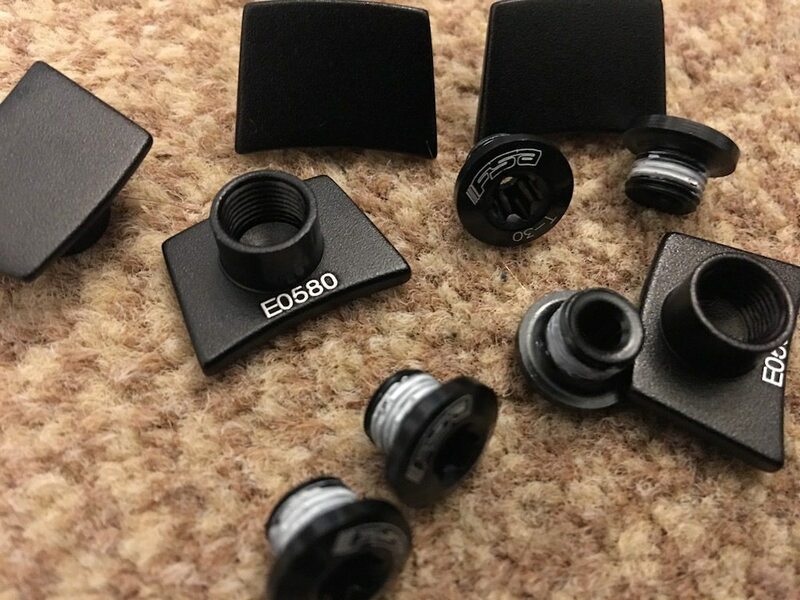 Even if PowerTap are targeting the budget conscious individuals who are looking at a £350 group set, I’m not sure they are necessarily going to be inclined to the spend an additional £550 to purchase the PowerTap C1. 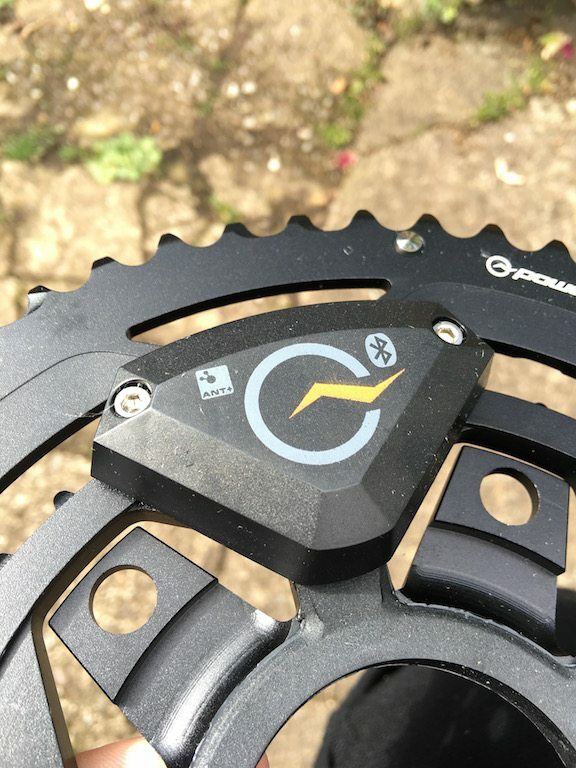 When the Powertap C1 is installed, the manual suggests that there is a break in time of approximately 15-60mins for the power meter, and the screws to settle in. By comparison, both the Stages and Garmin Vectors power meters are good to go after about 30 seconds of settling in, but I suppose in both cases there are fewer screws to deal with! 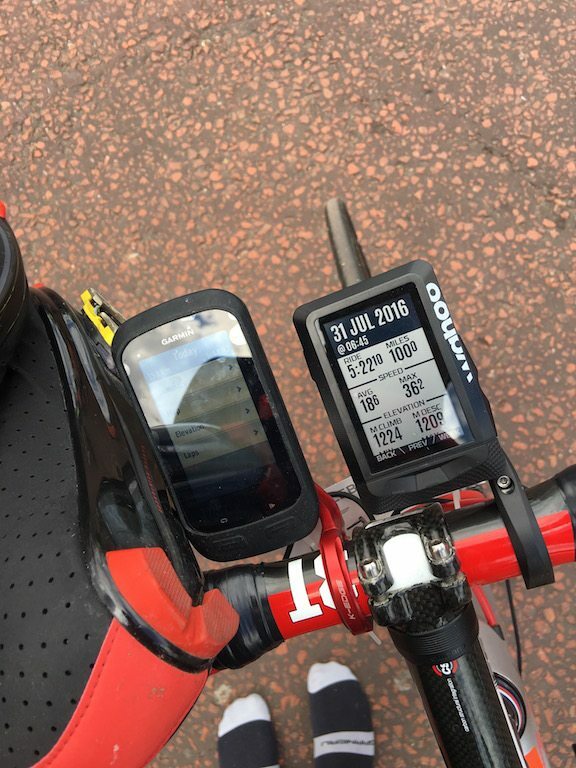 After the break in, the Powertap C1 was ready to be used outside, and connected to your regular head unit for ease of calibration. 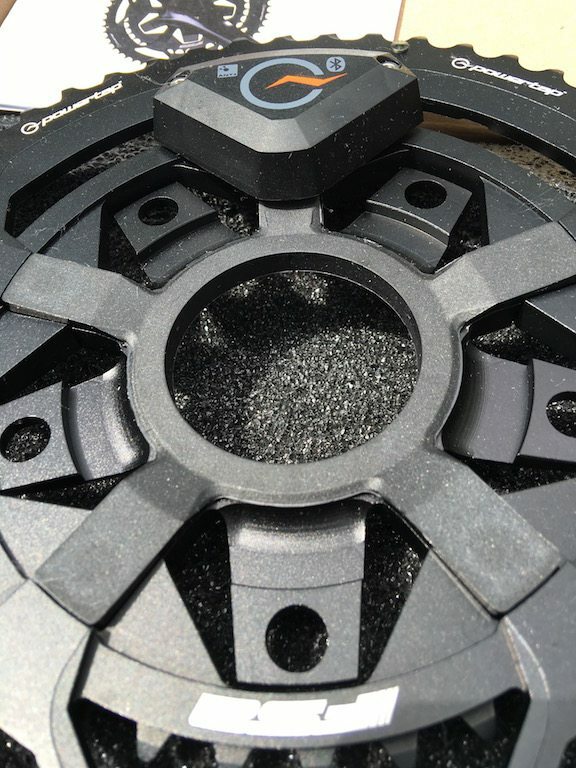 When you want to initiate a connection, simply wake the C1 up by giving the crank a spin. The perhaps another spin as well. 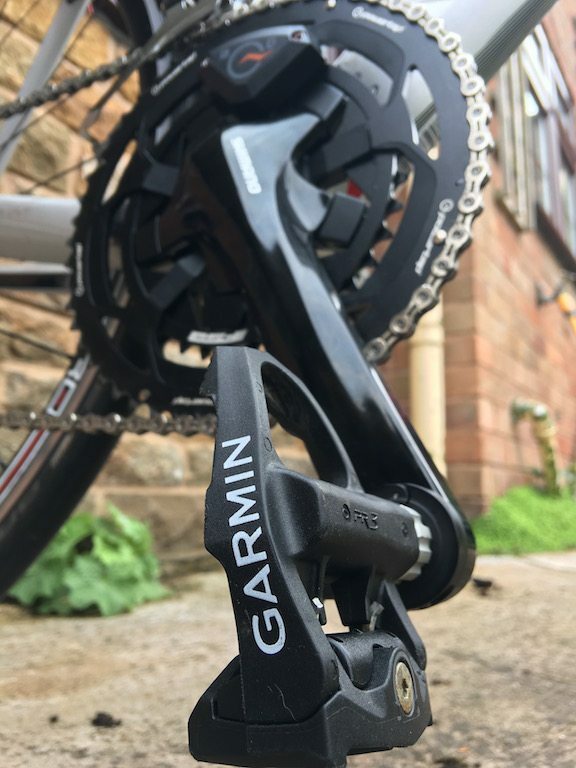 With the Vectors, they seem to be practically instant on, whilst in comparison, the Powertap C1 sometimes feels like there is the need for a couple of seconds for the unit to come out of its power saving slumber. 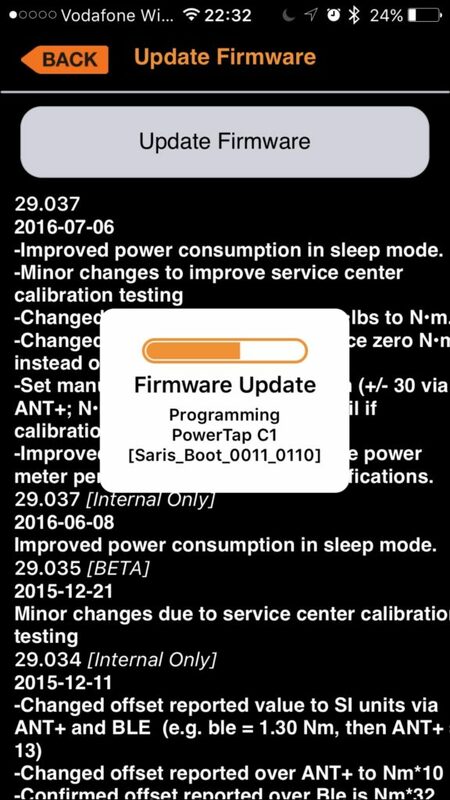 The fact that there are no external lights on the unit does somewhat add to that “Are you awake” feeling when you are getting set up. 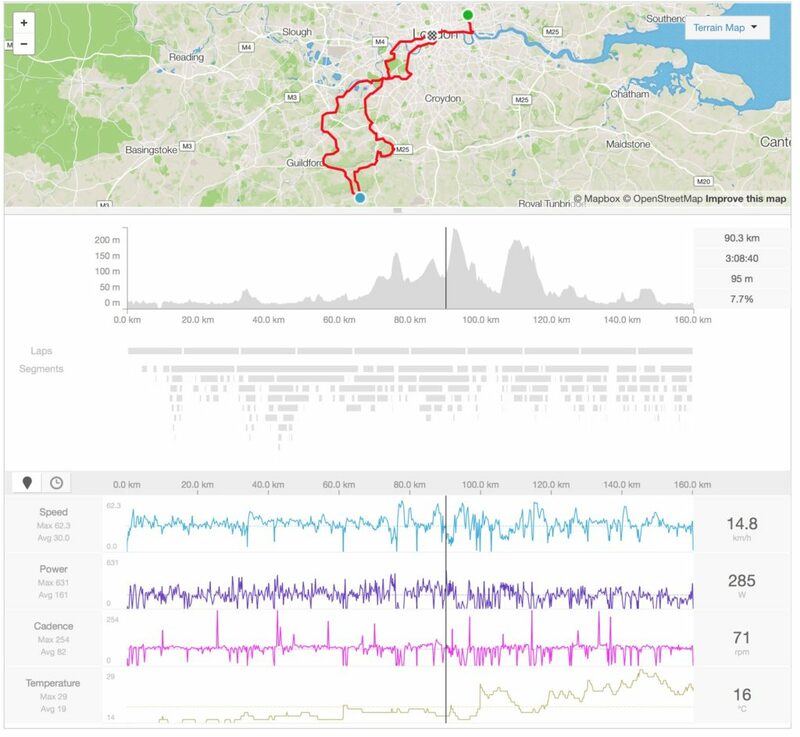 Having installed the PowerTap C1, and given it a controlled settle in period on Zwift, it seemed a reasonable to use the C1 as my power meter for the Prudential Ride London. 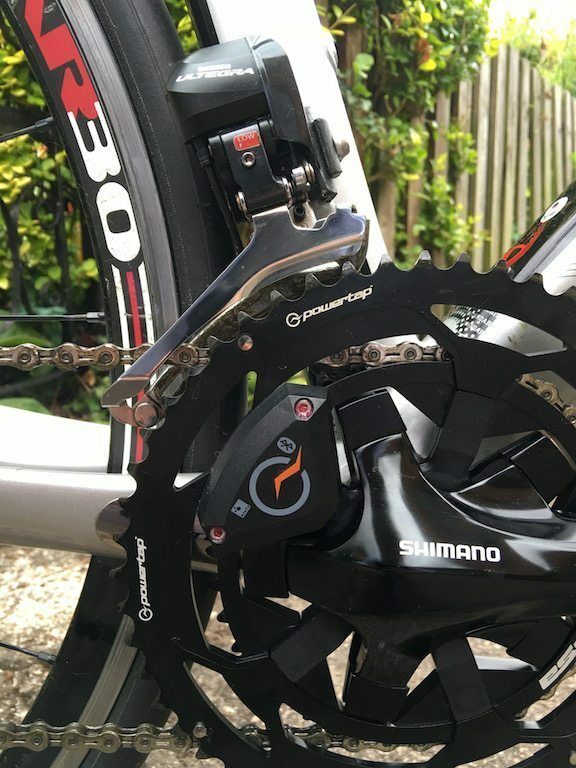 So given that the KICKR is at the end of the drive train, whereas the PowerTap C1 is directly mounted on the chainrings, a small amount of drive train loss is expected. 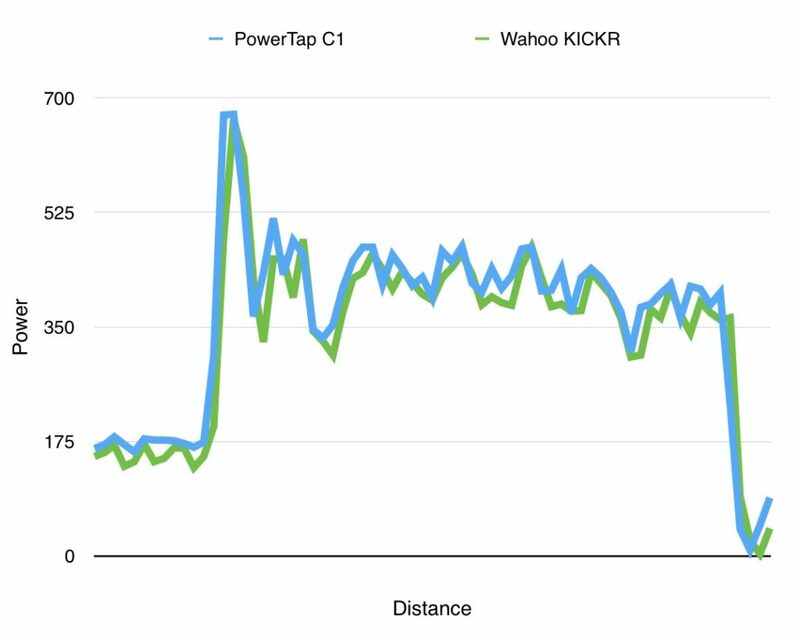 With zero readings from the C1 accounted for, the average difference between the KICKR and the C1 power reading was 5.9watts. Which is in the ball park for expected drivetrain losses. 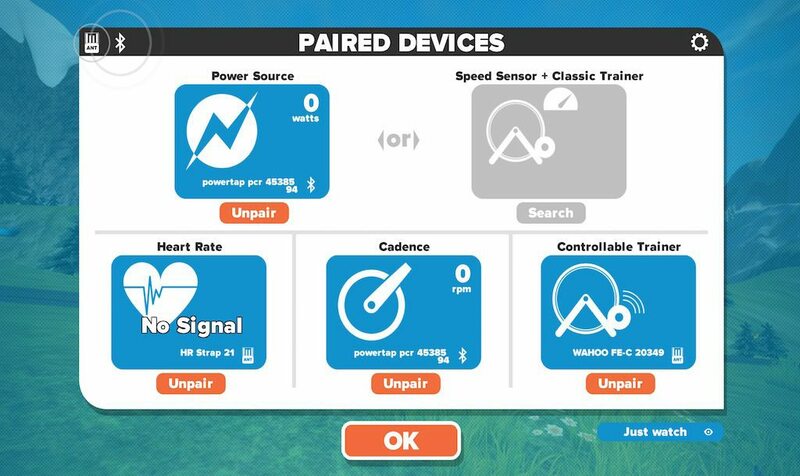 That might initially be considered “unfair” as we know that Zwift needs to be in close proximity to the sensors due to the volume of data being transmitted. HOWEVER, I haven’t previously had issues with testing other kit with this location – my USB extended cable doesn’t change length between reviews after all! 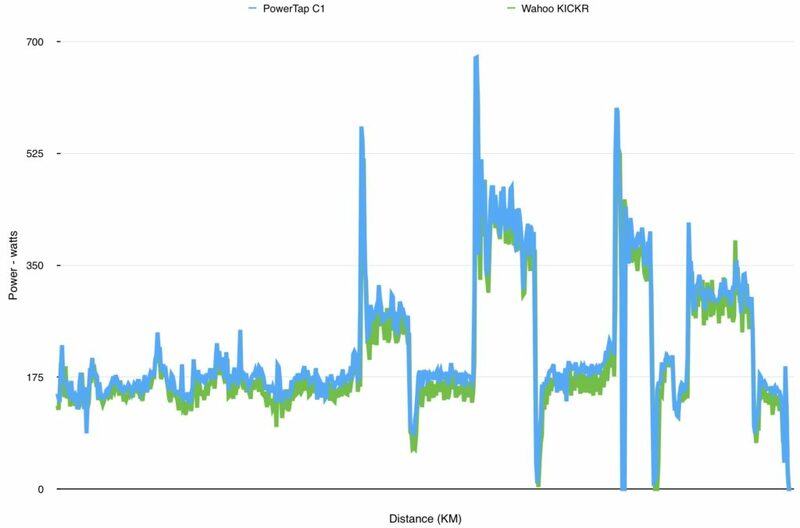 It would also be worthwhile noting that I haven’t noticed any dropouts using a Wahoo Cadence sensor, mounted on the opposite crank, suggesting that the PowerTap C1 may indeed have a weaker signal. 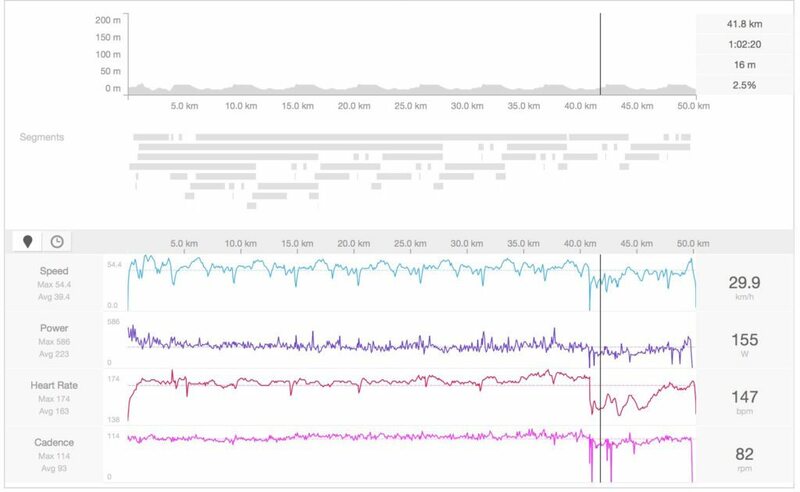 The most annoying example of this was simply when the C1 simply appeared to die during a Zwift race at 40km in. HOWEVER whilst you could argue that not seeing any alerts on my phone was my issue, and I should also have manually checked the app on my phone occasionally. 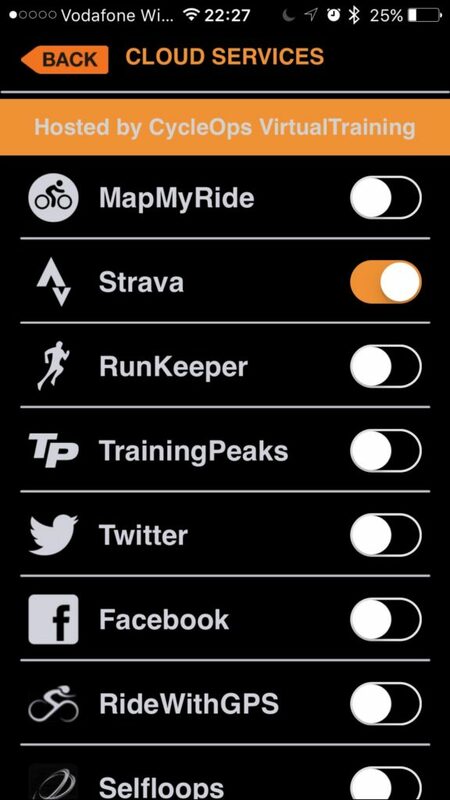 I also didn’t receive any alerts via any of the other units I have tested the PowerTap C1 with, that being the Wahoo Elemnt, Garmin 1000, or Garmin Fenix3 HR. With the Garmin Vectors, and now supported on the Stages Power meters, you get a slew of messages on the head unit when the batteries are even beginning to get close to needing to be replaced. 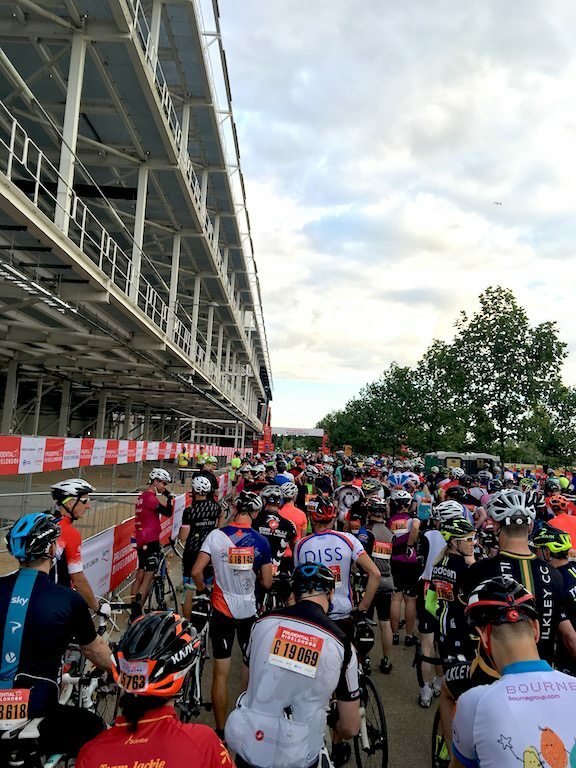 OK, we know that Zwift tends to cause the rider to perspire somewhat, so now seems like an opportune moment for a slight over-share of information. The moisture around the gasket in the above picture is actually sweat. 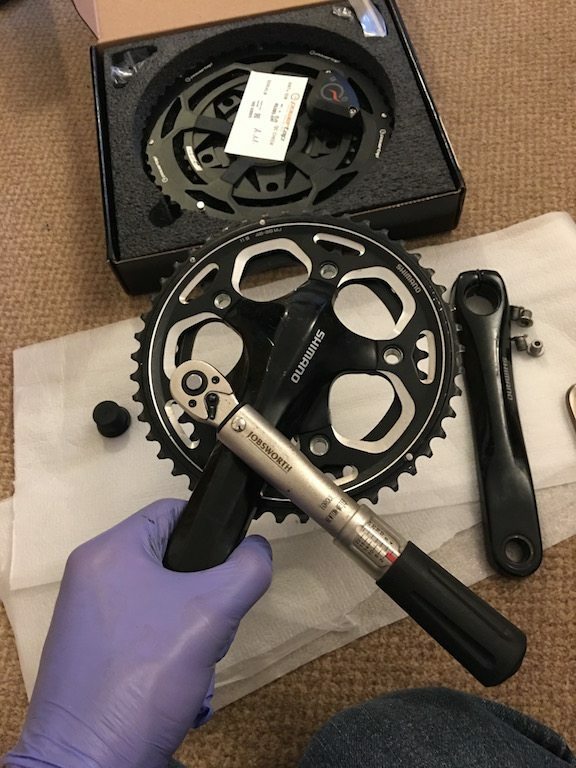 Now there hasn’t been any sweat ingress into the actual battery compartment I could see, however, if you are going to be using the Powertap C1 to do a lot of Zwifting, I think it might be worthwhile opening up the case and just adding a little trickle of grease around the gasket as well before you start riding. Just to be 100% nothing is going to get in. 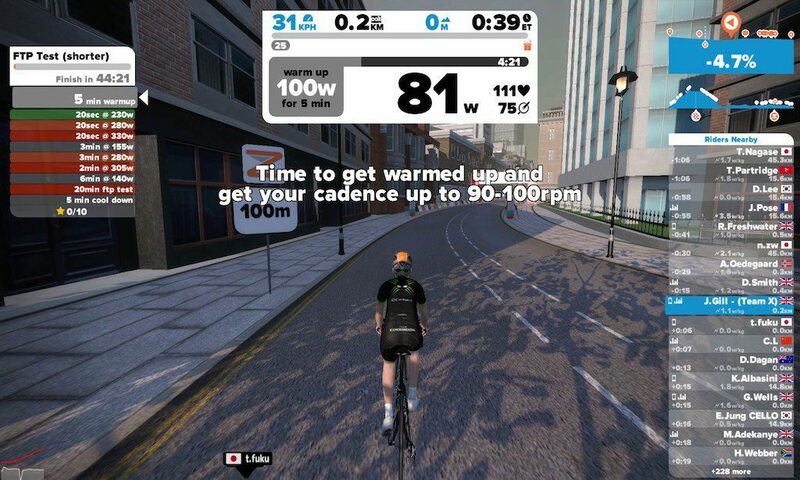 C1 fairs well in terms of being a Zwift power meter – the wattage readings compare directly with another power meter I have used, and. 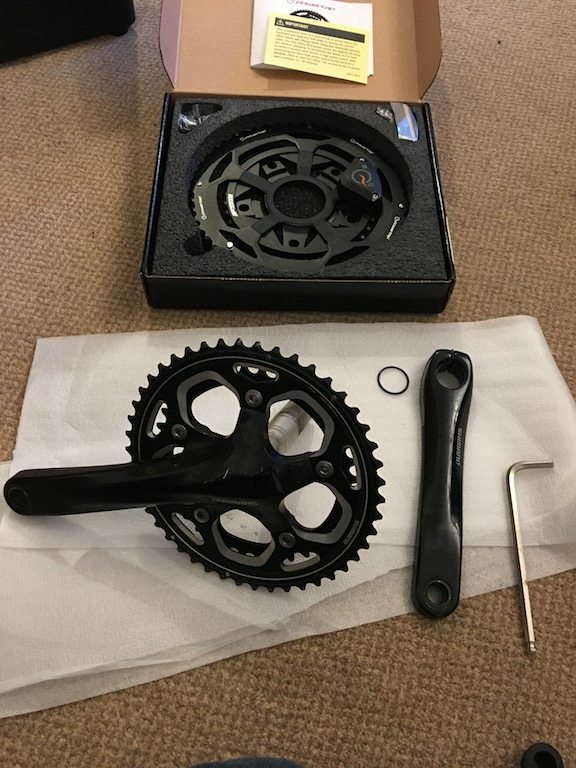 If you have a 5 bolt crank setup, the C1 is attractively priced. If you are on a 4 bolt system, this is not really a device for you. One thing I was not a great fan of was the FSA mandated chainrings. A lot of similar products such a Stages and Pioneer power meters sell units already attached to components available to match your current components. I think this is quite an important point as I just wasn’t happy with the performance of the C1 rings, either indoors or outdoors. 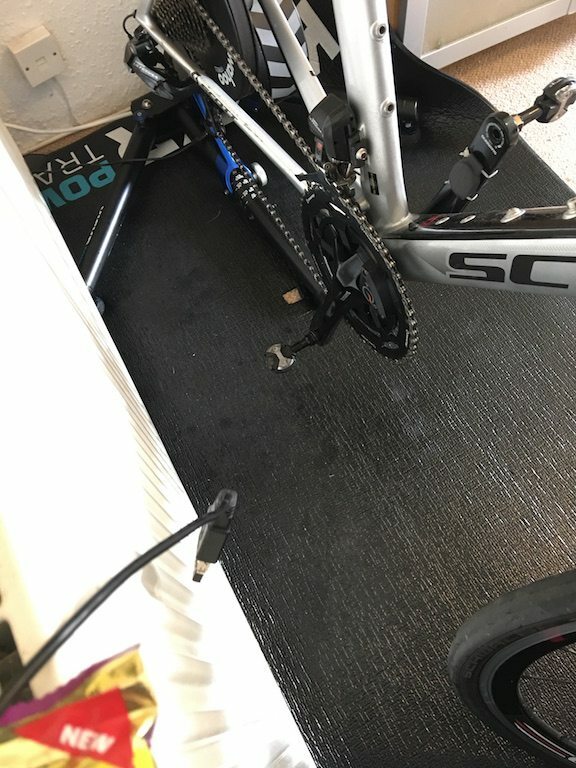 However if your main focus will be to Zwift, you might be better putting that extra money into a smart turbo with a power meter inside. 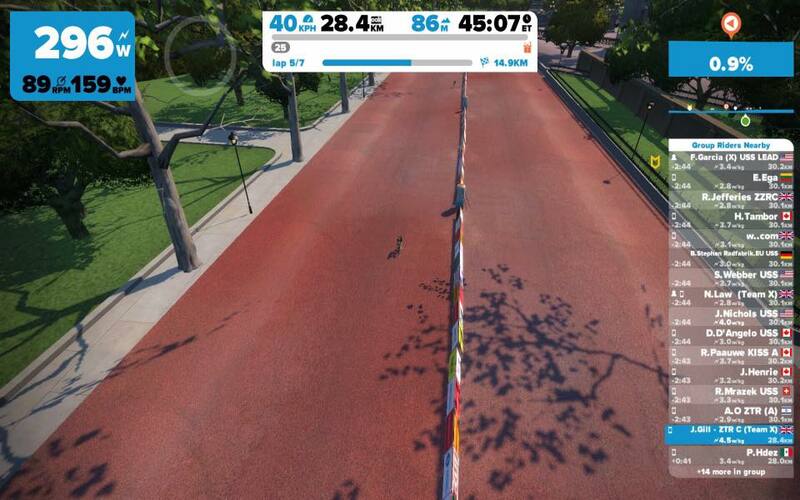 Staying with that budget theme – the next Zwift Gear Test will be taking the Wahoo Snap for a spin around Watopia! 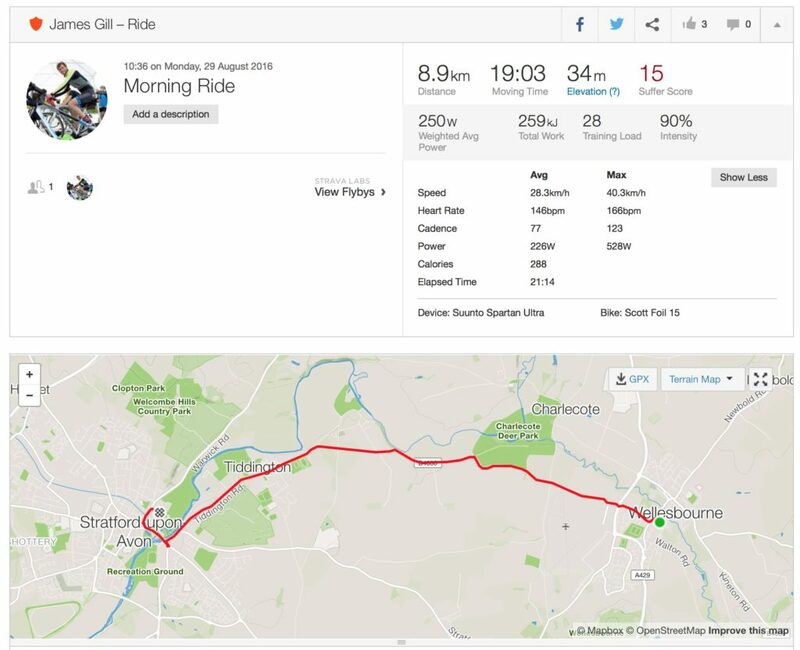 Garmin Vivoactive HR Review – Is the complete revamp a success?